Candlebark Retreat is a rustic self-contained getaway for two. 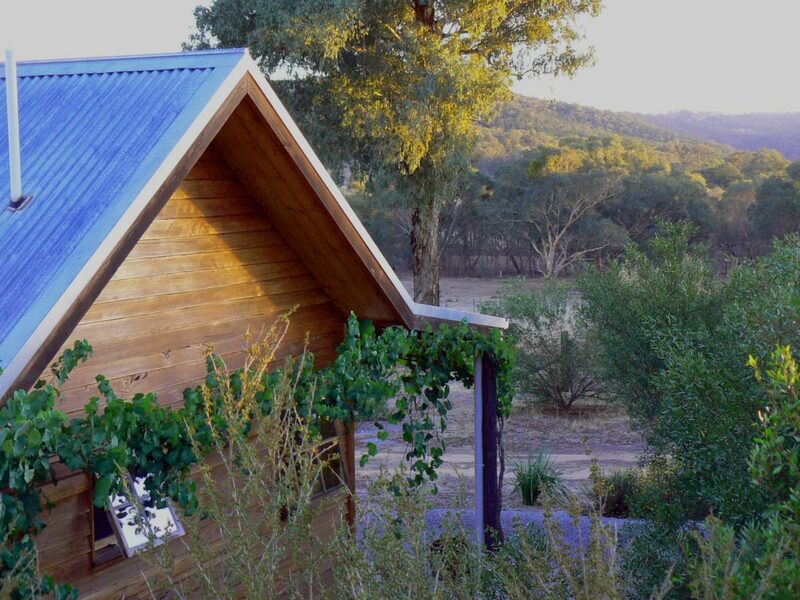 The stand alone retreat is private and cosy, nestled in a bird-filled garden with beautiful bushland views. Sit in the garden and enjoy the views; dine at the private table in the olive grove overlooking the small vineyard; or enjoy a coffee and paper with views of the hills. At dusk relax while you stroll through the vineyard enjoying a glass of Candlebark’s very good Shiraz Cabernet. And then under the crystal clear starry sky, sit by the fire pit in the garden and soak up the peace and quiet of the country. Candlebark Retreat offers everything you will need, but most of all, come here to relax, unwind and recharge. You will be back. Candlebark Retreat is six kiometres from the Beechworth post office and approximately 2.5 hours from Melbourne. Cottage features kitchenette with microwave, convection over, complimentary selection of quality tea and coffee, queen size bed with linen, air conditioning and free Wi-Fi internet. A great library of books, radio, television with video, DVD player will keep you relaxed during your stay. Barbecue area with outside seating with magnificent views of the property. A portable cot and high chair are available on request.